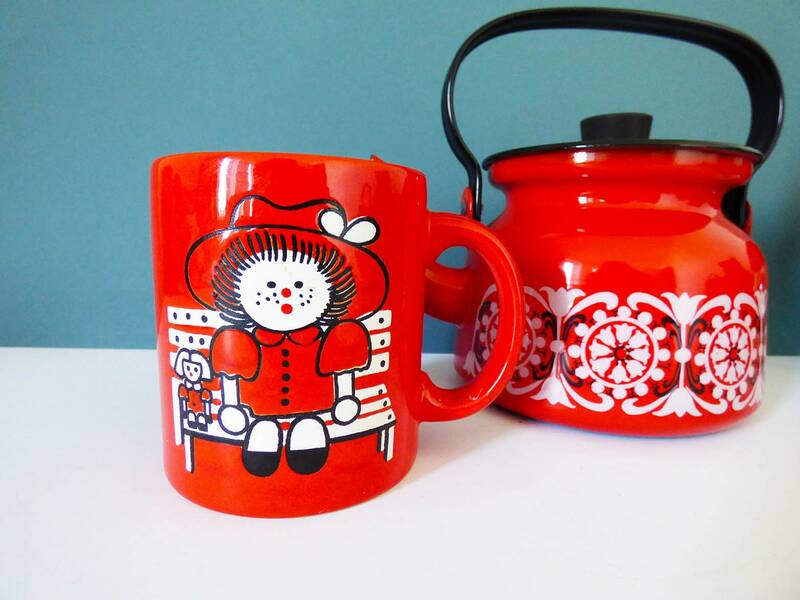 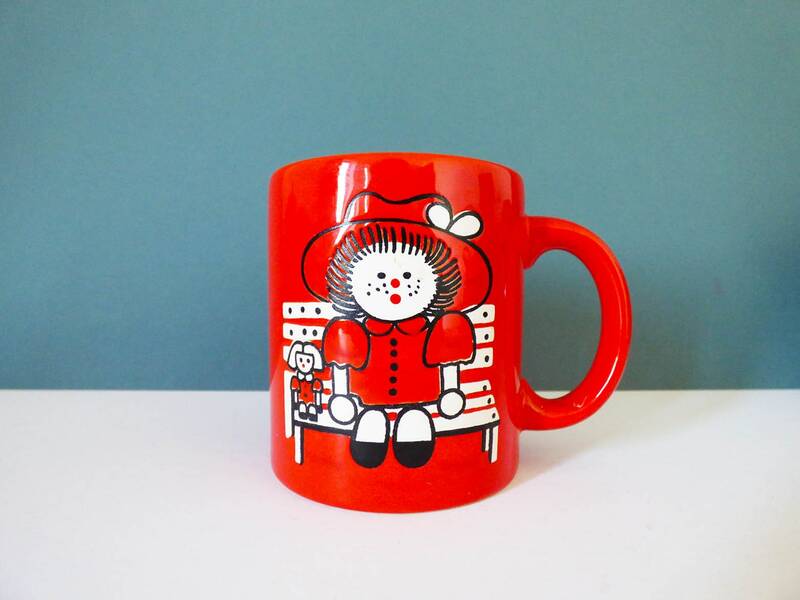 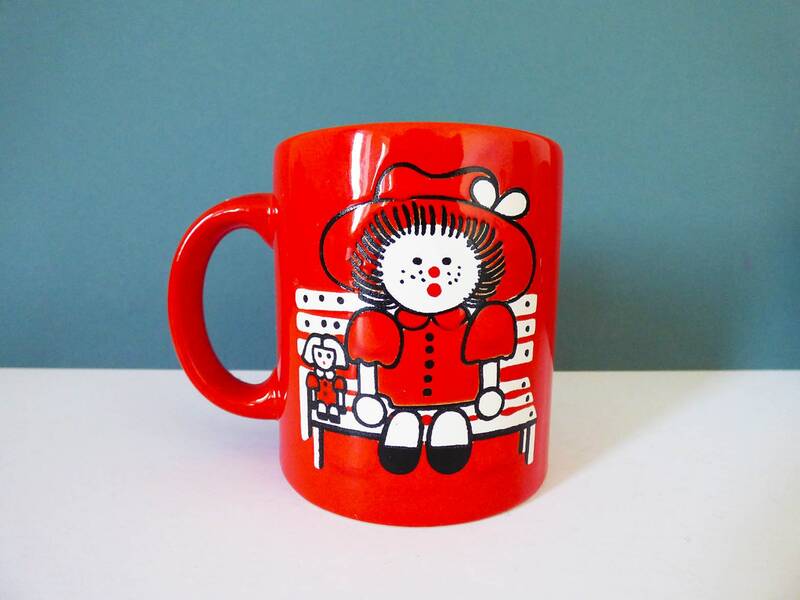 A lovely 1970's Waechtersbach potteries mug, with a super stylised rag doll design, produced in off-white and black on a thick luscious red glaze. 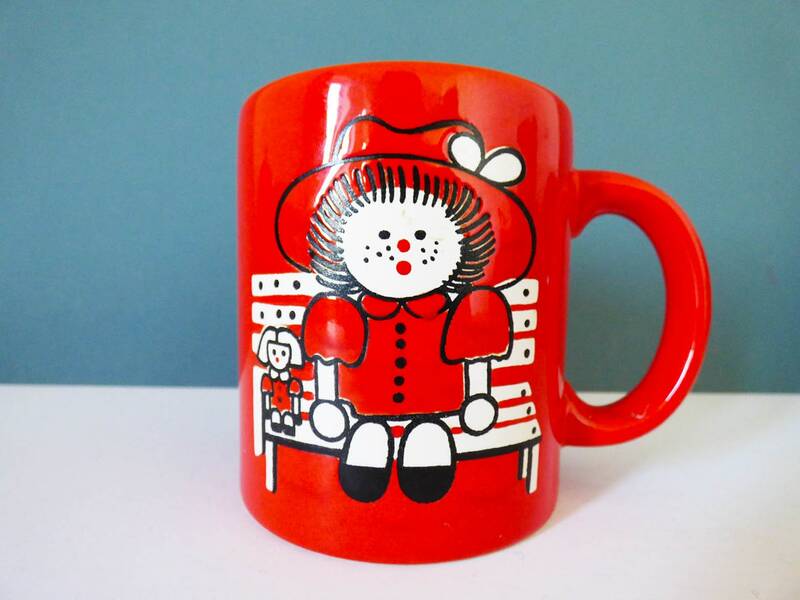 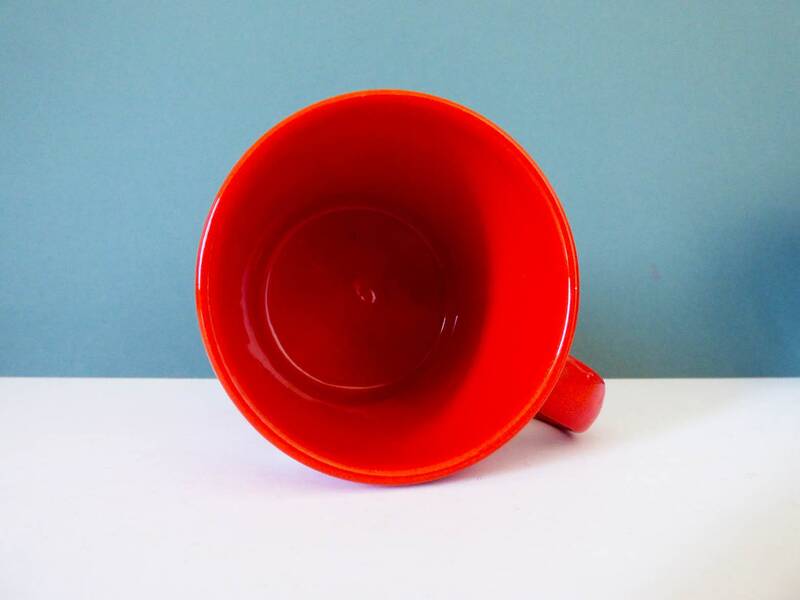 The mug measures 10 cm tall with a diameter of 8.2cm and it's in perfect condition. 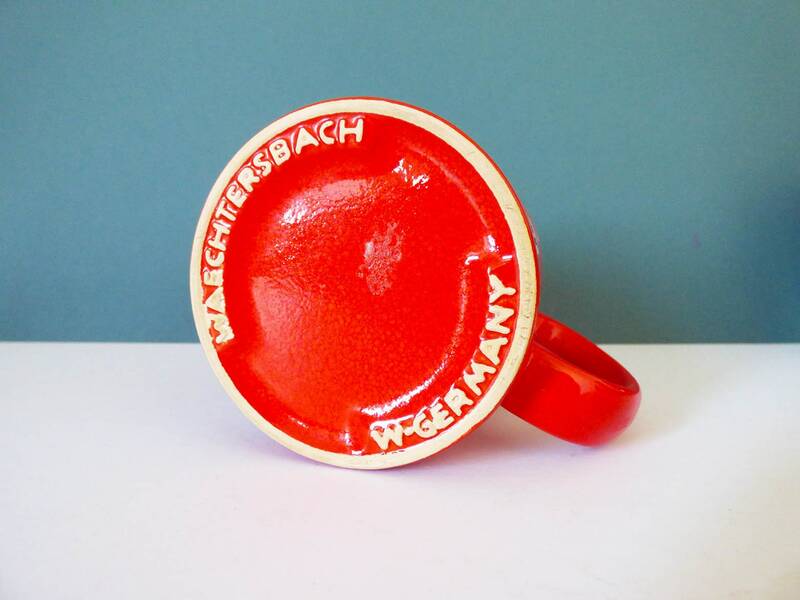 Marked to the base "Waechtersbach W Germany"